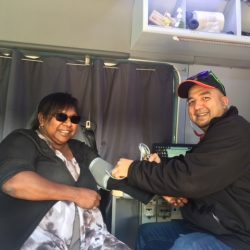 Norman Dulvarie is a Registered Nurse/Registered Aboriginal Health Practitioner with Albury Wodonga Aboriginal Health Service and he has a vision to provide healthcare that is culturally appropriate. His vision has yielded success in Wangaratta and surrounds via an outreach van. The services provided from the van include the care that Mr. Dulvarie provides in addition to those of a general practitioner (GP). When he visits different communities, he coordinates his visits with a GP, who patients can follow up with on their healthcare journey and provide a continuity of care. Services provided out of the outreach bus include ECGs, full chronic disease management treatment and management plans and, writing prescriptions in a culturally sensitive and safe environment. All of the services offered out of the outreach van are all bulk-billed. This is an advantage of the bus in regional Victoria because it can be difficult to find a bulk billing service. Mr. Dulvarie coordinates where the van travels and when it is used. The area travelled by the outreach van is approximately 100 kilometres around Wangaratta, though Mr. Dulvari has driven as far as Bright and Benalla. At that time, he coordinated his visits with a local employment agency that had Aboriginal and Torres Strait Islander clients, a café and Aboriginal and Torres Strait Islander youth. 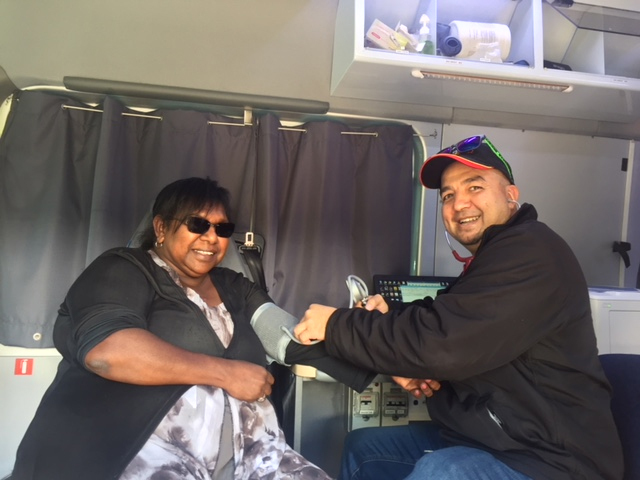 The van is owned by Sydney University and the Poche Centre for Indigenous Health, a philanthropic organisation, and is funded via RWAVs Medical Outreach Indigenous Chronic Disease Fund Program.